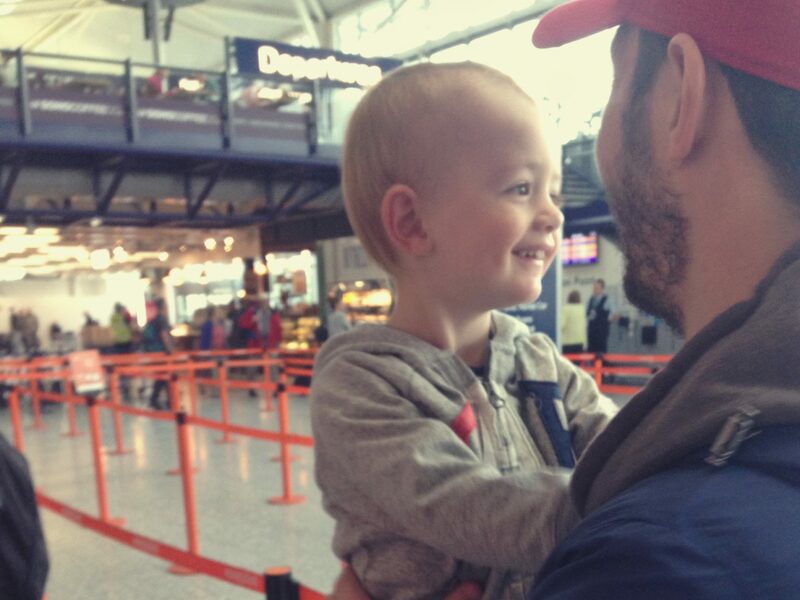 THE perfect family are at the airport. A well-dressed mother who has clearly been watching YouTube tutorials on halo braids, a chilled out father wearing chinos and a shirt, and two super cute children – one a toddler and the other a baby around three months old. As they wait for their flight to Nice, the eldest is looking out of the window pointing at planes, while the youngest is cooing away happily. In the next couple of seats is another family. The father is stressed out, having been convinced they would miss the flight as the Easyjet screen flashed straight from “wait for gate number” to “gate closing”. The mother is sweating after running to the gate while carrying their toddler, who is now trying to escape back out of the security barrier. And the baby, well at least he’s happy and pretty much oblivious to the chaos around him. Guess which family was us. I’ll give you a clue: One of the mothers is wearing a pair of sandals the other has bookmarked on a Safari tab but couldn’t justify the cost of on top of the holiday and several high waisted bikinis to hide the fact she hasn’t exercised for exactly two years. OK, I’ll admit we were family number two. But to be fair, the perfect family probably didn’t have the disastrous start to the holiday that we did. 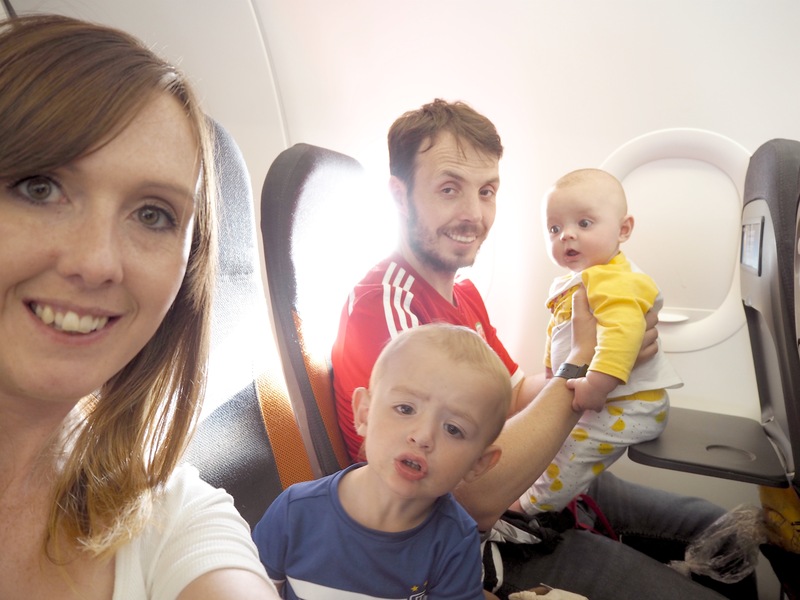 In case you missed my overly excited social media posts over the last couple of weeks, we were off to the South of France for our first Eurocamp holiday. We were flying to Nice airport and hiring a car to drive to Port Grimaud, staying at the Domaine des Naiades resort for a week. We set off on time, allowing for rush hour traffic and an extra 45 minutes or so if we needed to stop to feed Ezra. Mr Google Maps told us the drive would take exactly two hours, so we’d have plenty of time to spare to pick up the nappies and bottles of pre-made formula we’d ordered at the airport’s Superdrug to save space in our cases. Eight minutes into our journey Santi decided he didn’t want to go on holiday anymore and would rather feed the ducks, and Ezra started crying because he doesn’t like his car seat. A few rounds of The Wheels on the Bus (including the bonus verse of “the lion on the bus goes jack it up” à la Little Baby Bum) sorted Santi out, and Ezra fell asleep. Sorted. We turned the radio on and settled down for a peaceful drive. 45 minutes in, and full on disaster struck. There had been a crash nearly two hours earlier and traffic was still backed up along the motorway. Radio traffic alerts said it was taking 90 minutes to drive 15 miles, while Mr Google Maps told us our arrival time at the car park was now 11.55am. Our flight was at 12.45pm. As my duty-free shopping time slipped away, Stew started stress-eating rainbow cupcakes and we searched for a closer car park (you can’t book less than three hours before your arrival), alternative flights (there were none the same day), and the absolute latest you can check in for a flight (40 minutes with EasyJet in case you’re ever in this situation). At one point we even considered dropping Stew and Santi off directly outside the airport and booking for me and Ezra to fly the next day. It was that bad. 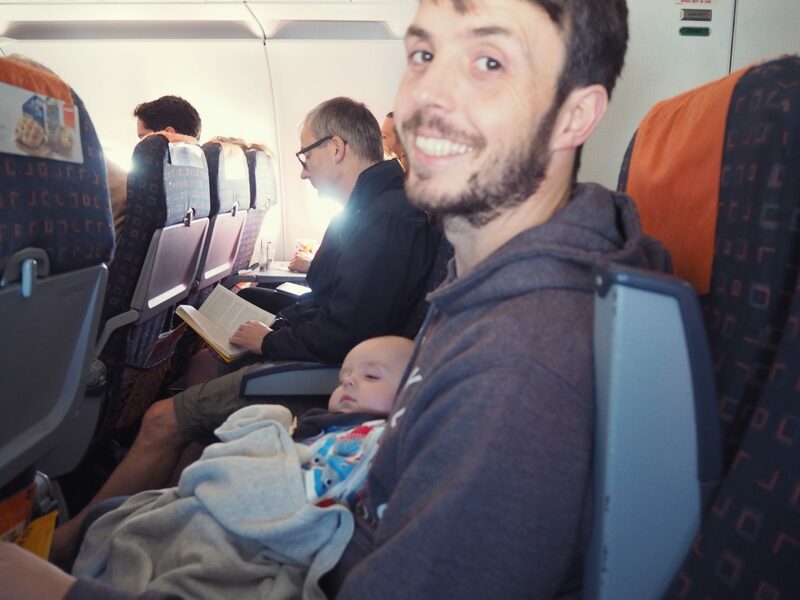 Thanks to some miracle, and I still have no idea how, we made it to the airport in time … and with an hour or so to spare thankfully, as it takes a lot longer to get through security when you have a buggy and baby milk that needs to be tested. We picked up the nappies we’d ordered and headed upstairs to watch the planes. All of a sudden Stew broke into a panic. The flight screen switched from “wait for gate” to “gate closing” and an announcement was made for the final call to board. After getting to the airport on time there was no way we were missing this flight. We started running, me pushing Ezra in the buggy (thanking God that we hadn’t decided to take his car seat to save the £40 cost of hiring one), with Santi on Stew’s shoulders shouting that he wanted me to carry him. Mid-run, with the skill of Olympic relay racers we swapped Santi and the buggy, sprinted past a well-to-do looking couple (you know the type, the husband was wearing a fedora and a striped blazer) and made it to the gate, where Stew almost left his phone with our boarding passes on the desk. And that’s where we came across the perfect version of us. No sweating, no stress, and no crying children. Santi made friends with their daughter Molly, who of course was potty trained, and asked where his “girlfriend” was when we got on the plane. We made it onto the plane, looking slightly frazzled! Thankfully, the flight was drama-free. I’d been so anxious that Santi might have had a meltdown over not being able to wander around, or Ezra would cry, but they were both fine. 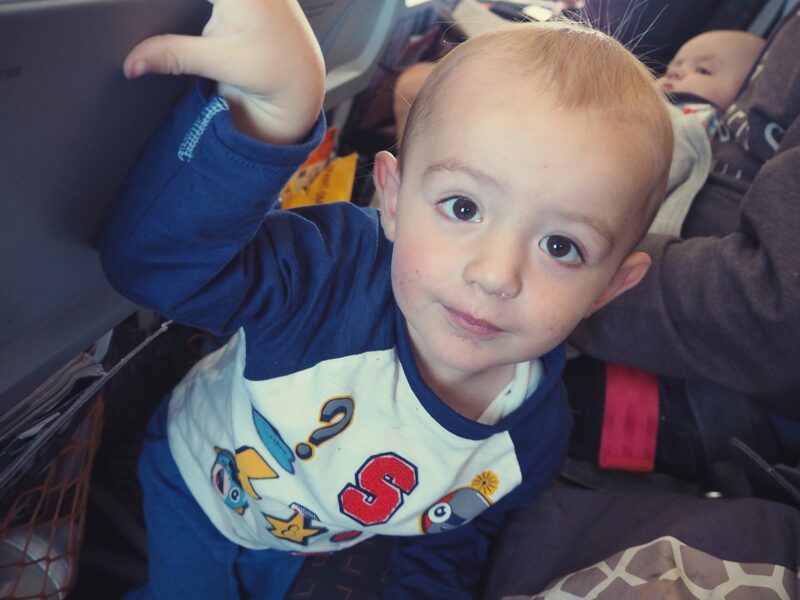 Santi played hide and seek underneath the flip-down table (as you do), pointed at a man in the row infront repeatedly saying he was Marc (my brother), and made plane noises with a worrying neeeeaaawww, proof. I hope we weren’t sitting near any nervous fliers. 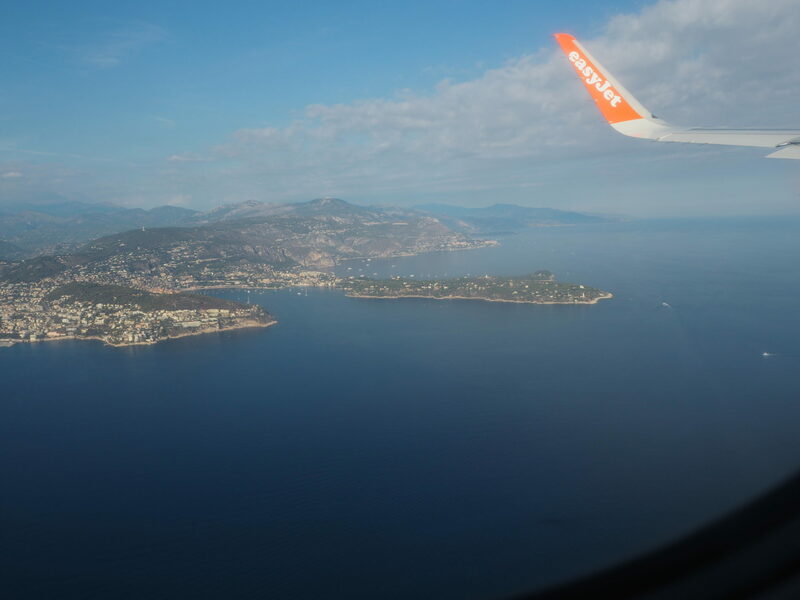 Flying in to Nice airport was beautiful. Blue sea, yachts and terracotta houses dotted between the trees. I love stepping off a plane and feeling the heat when you arrive on holiday, but it seems Santi doesn’t share my passion for being abroad. 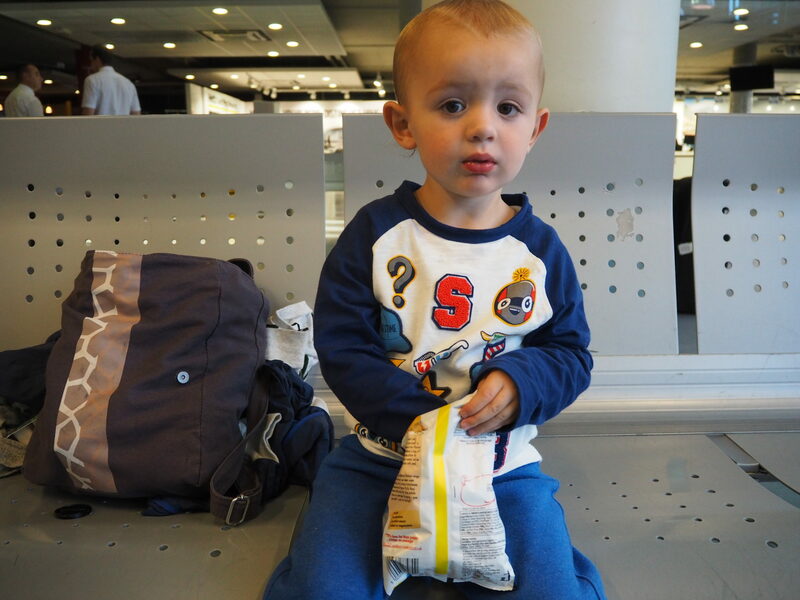 As we walked into the terminal, less than five minutes after landing, he said “are we going home now? I want to see grandma and gramps.” Sorry son, we’re stuck in this hellish place that attracts stars from around the world thanks to its beauty for a whole week. He perked up when we spotted his girlfriend by the luggage collection and they had a game of hide and seek while we waited for our cases, then we went to pick up our hire car. After walking between the airport and the car park a few times unable to find the collection point we eventually ended up in the right place and were given a pretty huge estate. Poor Stew was our designated driver, and had to get us out of the airport while Ezra cried in the back (turns out he doesn’t like French car seats either), and Santi shouted that he wanted to go to the park with Nanny. He kangaroo bounced out of the car park and stalled a couple of times on a main road out of the airport (and when I say a couple I’m being nice), while impatient drivers in the queue of cars behind started beeping and shouting. It was ever so slightly stressful and I’m surprised Santi didn’t pick up a new language that wasn’t French. We finally managed to get going and turned off the main road into a side street to get used to the controls, while helpful Mr Google Maps (he was with us all week) repeatedly told us to make a u-turn. Once we got onto the motorway it was plain sailing. Ezra and Santi both fell asleep (woohoo) and we could find our way to Port Grimaud with no distractions … Until we missed the turn on the very last roundabout and Santi woke up screaming (he’s such a great travel buddy). Just to add to the journey’s mishaps, the woman at the Eurocamp desk forgot to give us the code to get in, resulting in yet more beeping from angry people in the car behind, just as Ezra woke up and started crying loudly. Our neighbours – a lovely middle-aged couple who enjoyed a glass of wine with their al fresco meals – must have been so pleased when we pulled up in a crescendo of wails. After moving the travel cot from one room to the other and back again while deciding who was sleeping where (taking it down and re-building it each time as the doors aren’t big enough for it to fit through), frantically trying to cool a bottle down in time for Ezra’s feed (we didn’t get the pre-made formula we’d ordered from Superdrug) and Stew running down to the shop before it closed for the night, we could finally settle. We’d been asked by a fair few people if we were driving to the South of France … Are they nuts?! Roughly 20 hours plus a ferry crossing with our two menaces? No chance. It might sound like a nightmare of a day, but we made it in once piece and survived our first flight together.